Roadtrip! To the Lake is a primer level method book for very early beginners ages 4 and up. 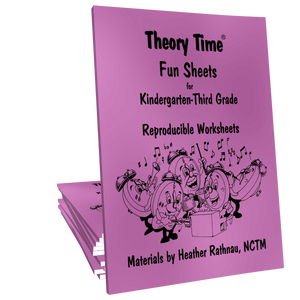 The multi-key approach offers eighteen songs that are easily taught by note, rote, or number allowing student to master basic music fundamentals while creating a musical memory book that becomes a keepsake item to commemorate their maiden voyage into piano lessons. I have a 4 year old using this book and he's loving it! In fact, he's surpassed another 5 1/2 yr old that's using the same book! This is a very engaging book for the young student and I'm so happy to have it in my 'arsenal'! Love it! Such a fun book! I love the teacher book in addition. So many activities to keep the young students busy and having fun! I have a new student who is having so much fun they wanted him to come twice a week! Roadtrip! is full-time fun for beginners. There is a nice balance of both new songs and familiar songs. Lots of fun activities and the book makes a nice keepsake. 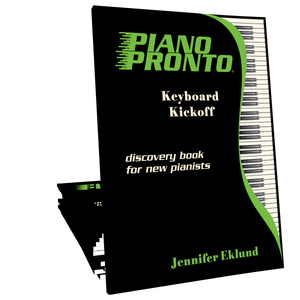 I have found that this book makes a nice springboard into Keyboard Kickoff. Just finished my first school year using Roadtrip! and I'm very pleased. The duets and creative opportunities are so good for the students. This is a great book for my young students (5 years old). Roadtrip! has a unique approach that students love. Pieces use several different keyboard positions and can be taught by rote or with music. The available backing tracks and teacher duets are loved by my students! The teacher's guide suggests many "off the bench" activities to reinforce learning - and to make it fun! I also teach a preschool piano preparation program called KiddyKeys, and this book is a great follow-up to KiddyKeys classes. Wow! Used Roadtrip today for the first time with a 5 year old. Smiling faces and lots of giggles! Grandma (who sat in on the lesson) was elated too. It is a breath of fresh air to teach from this book! During the intro on the backing track for Beep Beep Beep we pretended to fasten our seatbelts and put on our sunglasses, ready for our drive (and lots of beeping). Kept a real pair of funny sunglasses on top of the piano to use for this activity. The girl loved putting them on whilst playing! Adorable. Great book! Perfect start for young beginners. This book is proving to be effective in my studio. It is fun and engaging, and I especially love the multiple teacher duet versions. My young students love to "level up." This is such a unique teaching tool for young beginners. It is flexible and engaging for this age group, and they recognize that they are playing 'real' music. 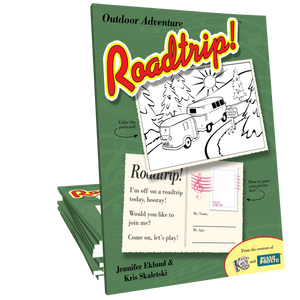 Roadtrip is a great fun book for a young beginner! They start learning to read the staff right away. My 6 year old is so proud of the duets we do together. The teacher's guide has so many ideas it is almost overwhelming! This book has been a wonderful choice for a 6yo student who previously was not very committed to lessons and practicing. She LOVES the songs, we both love the duets, and she now practices at home a lot and marches into her lessons very enthusiastically! I plan to use this method with many future students! I have a little 5 year old that has bounced all over the place with methods. Roadtrip has been a lifesaver for us! I use it in conjunction with Keyboard Kickoff and alternate every other week between books. This is something that keeps my little student motivated. I love the songs in this book. My daughter/student started at 4 in this and it's been nonstop fun for her. She plays ALL the pieces she knows frequently, loves the activities, and begs me to play the duets with her. 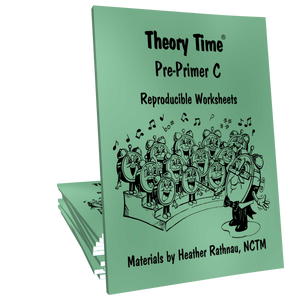 Definitely a product I will use again for preschool-age piano students! Easy start for young beginners. Lots of fun activities. Love having the teachers guide for duets and off the bench activity ideas. I've just placed a couple orders for the Roadtrip books. My two young students can't wait to start using their books. Thanks, Jennifer! Several of my first grade students just finished this book. We really enjoyed it. There is so much included. 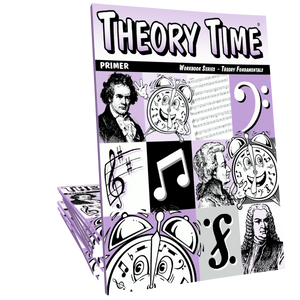 Fun activities, great theory, catchy songs, wonderful duets if you combine with the teacher book. My students especially liked crossing over to high C!!! Two things I really like about this book: 1) students get familiar with seeing notes on the staff right away 2) technique is left open - you can teach non-legato from the beginning if you prefer. A fantastic start for young beginners at the piano, and so much fun! Love this book and the amount of knowledge my littles are able to gain as they work through it. The activities and duets are fantastic! So many activities to choose from. My littles love the songs and activities and the 30 minutes just flies by. This book has worked perfectly for an almost 5-year-old. He's fully capable of learning these songs, loves the coloring, and the teacher's guide has been fantastic! I just started this book with a five year old. 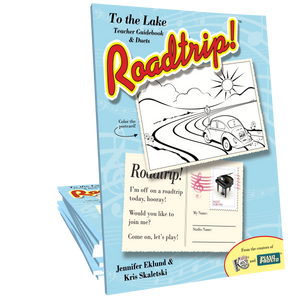 I love the roadtrip theme and the many ideas in the teacher book. I know exactly what to teach in each lesson. Fun and interactive primer book for youngsters! Instead of being "cutesy", it's "cool"! The progressive duets that go along with each piece are a brilliant concept.